Note: Dr. Forrester is not qualified to provide medical advice. If you suspect you have a parasitic infection, please see your local health care provider. Under the microscope of Sean Forrester, PhD, is where some of Canada’s leading research on parasitic organisms takes place. 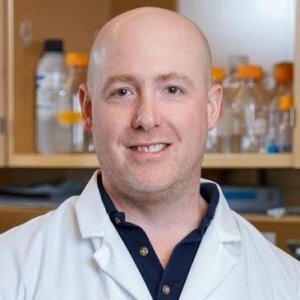 A parasitologist and associate professor of Biology in the Faculty of Science at the University of Ontario Institute of Technology (UOIT), Dr. Forrester has been studying parasitic organisms for over a decade in search of new drug targets to combat tropical diseases. He has always been interested in the living environment, and drawn to organisms and the discovery of what they did. During his undergraduate studies in biology, a fascinating fourth-year course in parasitology taught by an inspiring professor had such a profound impact, that it led him to pursue research in this field. He graduated in 1995 with a Bachelor of Science in Biology from Cape Breton University in Nova Scotia, and in 1997 he earned his Master of Science in Biology and Parasitology at Lakehead University in Thunder Bay, Ontario. During his doctoral studies at McGill University’s Institute of Parasitology, Dr. Forrester completed five years of indepth research into parasitic organisms and frequently published his findings, realizing that he wanted to focus on a career in research and teaching. A two-year post-doctoral fellowship followed in the Department of Pathobiology at the University of Pennsylvania, which set him up for a career in academia. Dr. Forrester began his teaching and research career at UOIT in 2004 as an assistant professor in the Faculty of Science. In 2007 he held the position of Graduate Program director of the Applied Bioscience Graduate Program, and in 2009 he was appointed associate professor and associate dean of Graduate Studies, a position he held until 2011. In 2012, he was named Undergraduate Program director of Biological Sciences at UOIT. Additionally, he currently serves as an adjunct professor at McGill University’s Institute of Parasitology. Dr. Forrester led the development of a Master of Science and a Doctorate in Applied Bioscience at UOIT, and he has developed and taught biology and pharmacology undergraduate and graduate courses. Additionally, he has played an important role in the early careers of his graduates who are now conducting doctoral and post-doctoral research at the Montreal Neurological Institute, McGill University and the University of Toronto. One of the oldest recognized centres of interdisciplinary research in Canada, the Institute of Parasitology focuses on parasitic organisms, the relationship with their host and the means to limit the impact of parasitic disease on health and wellbeing. This research project focuses on investigating cys-loop receptors that are activated by biogenic amines such as dopamine, tyramine and serotonin.